My project to retrieve and reformat my early novels before data rot overtook them has been a success. The science fiction novel, In The Hands Of Time, along with three other novels (in various genres), is being published as an ebook by Idiolith. It is already available for Kindle from Amazon US and Amazon UK, with distribution from Barnes and Noble and Borders to follow (very soon, I hope). 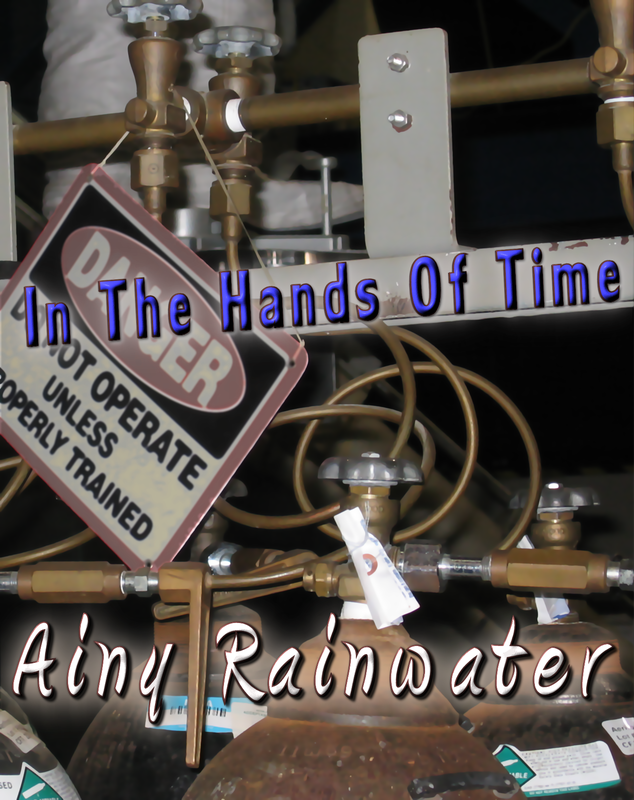 My books are published under the nom de plume Ainy Rainwater. Two more novels will be published this fall: Miasma, a horror novel later this month (this will go well with my Halloween Soundscape album) and The Malice Plant, which is a mystery (potentially the first of a series) which will be published in November. A while back I started another blog for my nom de plume, Ainy Rainwater. I haven’t publicized A Truant Disposition until now but with the ebooks coming out this fall, I expect more people will be wandering over to check it out. I hope you will, too. I must confess that I don’t quite know what I’m doing with it, but it will probably be a bit more personal and may metamorphose into a quirky kind of author’s blog. Music: Summer is winding down, but you can have summer all year long with the Sand In My Shoes EP. This past weekend was the fifth anniversary of Hurricane Katrina and in a few weeks it’ll be the fifth anniversary of Hurricane Rita (which I evacuated from, though Ike more recently was worse for the Houston area). The EP A Tropical Depression which includes songs I wrote in the aftermath of those events still benefits the Red Cross. There’s never any shortage of natural disasters, but sometimes there’s a shortage of money. If you’ve already got the album, please give to the Red Cross as we head into what is traditionally the peak of hurricane season. As always, I appreciate your support of Gymshoes. I hope you’ll enjoy my ebooks as Ainy Rainwater, too! This entry was posted in Books, Gymshoes, Music and tagged ebook, music, sci-fi. Bookmark the permalink.